The doorbell rang. He grumbled about early trick-or-treaters and went to the door. “Damn it to hell.” Cliff looked down to see his dead wife’s recently vanished black cat run through the living room and out onto the terrace, the terrace from where he’d helped the wife who cramped his style to her untimely but necessary death. The cat leapt onto the terrace railing and turned around. “So you want to play, do you? Well, you’re dead meat, cat. I’m sick of dealing with you.” He moved forward. Cliff shrieked, turned, and fell back into the living room. Cliff found himself outside again, along the perimeter of the terrace. The cat on the handrail let out a screech and struck. Thrown off balance, Cliff felt talons and fangs push him backward into space. Two sets of flickering green eyes burned into his as he fell. On the way down forty-two floors to the earth below, he thought of something odd. He’d never noticed before how his late wife’s eyes and those of the cat looked one and the same. 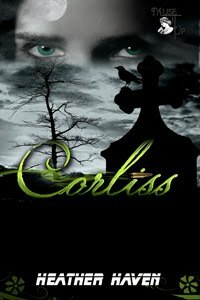 Leave a comment for a chance to win a copy of "Corliss," one of Heather's personal favorites. About the Author:After studying drama at the University of Miami in Miami, Florida, Heather went to Manhattan to pursue a career. There she wrote short stories, novels, comedy acts, television treatments, ad copy, commercials, and two one-act plays, which were produced at Playwrights Horizon and well-received. Once she even ghostwrote a book on how to run an employment agency. She was unemployed at the time. Her first novel of the Alvarez Family Murder Mysteries, Murder is a Family Business, is winner of the Single Titles Reviewers’ Choice Award 2011, and the second, A Wedding to Die For, received the 2012 finalist nods from both Global and EPIC’s Best eBook Mystery of the Year. The third of the series, Death Runs in the Family, recently debuted and has already received rave reviews. All three books are published out of a Canadian publishing house, MuseItUp. Heather’s most recent endeavor is a 1940s holiday mystery series starring a five-foot eleven, full-figured gal named Persephone Cole. ‘Percy’ Cole has the same hard-boiled, take-no-prisoners attitude as Sam Spade, Lew Archer, and Phillip Marlow, but tops it off with a wicked sense of humor. 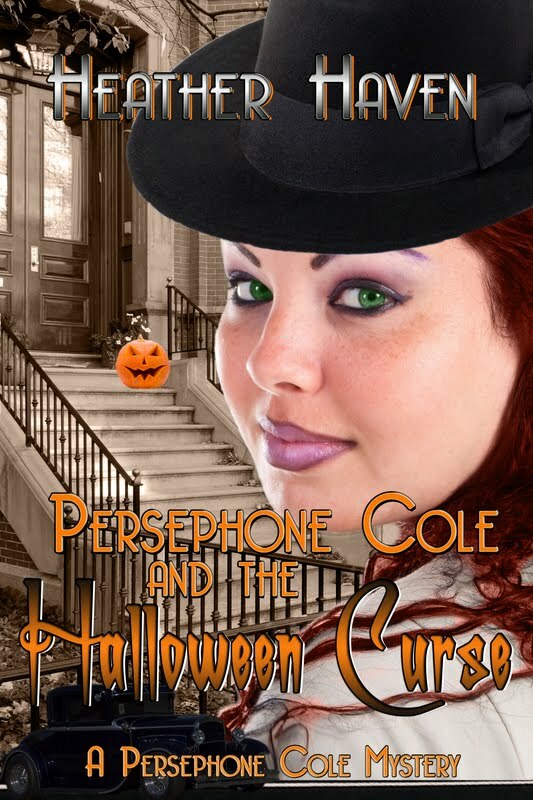 The first of the series, Persephone Cole and the Halloween Curse, takes place on New York City’s Broadway stage during World War II, three thousand miles and sixty-odd years away from the California Alvarez Family Murder Mystery series. Now you will make me look at all of my cats..(3) eyes and see if they look familiar! LOL Loved the story! Thanks for sharing!